IF YOU HAVEN’T READ THE FIRST PART, READ HERE. Yes, it was anticipated since it was planned weeks and weeks ago (feels like ages).. And when it happened, unexpected things just keep piling up! There are 3 trails to get to the Parrot’s peak. One is via the Ternate, Cavite, another is via Nasugbu, Batangas and last one is only known by locals around there. We took the usual trail, via Ternate. This was one exhausting trail! It was a series of ups and downs, ascend and descends. It took ages for us to get to the camp site where salvation from thirst was granted. Along the way, there were plenty of water streams. The lush vegetation shelter hikers and like from direct sun light. There were no wind along the trail so it felt really humid. In the confines of the forest, we heard Ibong Adarna sing songs to make your heart at peace! We also heard the mockingjay cheer us to go further and reach the top! Kidding aside, Mt. Pico De Loro is teeming with life!You hear flocks of bird laugh at you because you fell on your back. Red, Green, Black Ants march their way to your exposed legs and bite their way in. Leaf hoppers guides you to the right way by jumping in front of your face to signal that “you’re drunk dude, you’re going the wrong way”. We had no plans laid out when we got to the top of Parrot’s Peak. We just climbed our way to the summit and see what else could we do. We were stunned and awed by the serene sight before us! In order to immortalize the moment, it was decided to take turns in climbing the Monolith, while the other one to take the photos. And so, under the influence of #SPONTANEITY, we did what we must! Climbing the Monolith was the highlight of the hike. Do note, it’s not for the faint-hearted. There’s an obstacle there that Manong Boyong described as the main reason for some injuries and accidents climbing the monolith. With the awesome experience in Parrot’s Peak and Monolith, we decided to eat wholeheartedly in the camp site down below and take the trail back to the metro. Since we were not 100% prepared in our food, Aling Fe’s Store provided us with Barbecue on sticks and a heavy rice combo, coupled with ate @traveladik ‘s Pansit, It was heaven! Upon eating our meal, we strolled around and find a vantage point where we can see both the Parrot’s Peak and Monolith. We were blessed to see such a sight before the rain started to pour. With our curiosity at its peak, it was an easy YES to take the Traverse Trail, the one going to Nasugbu, Batangas. The problem was, the Traverse Trail is way up the Parrot’s Peak, down the Monolith, then into the forest down below. Trail is wet and slippery. We managed to go down the tricky part of the traverse trail, and all is smooth sailing. Until, one after the other, me and ate @traveladik slipped. Truly blooper moments. After that, we just blamed the rain, the ground and that tiny branch that couldn’t carry our weight – shame on you little branch! After less than 2 hrs of trekking, talking, laughing, and more talking, we arrived at the Firing range at the foot of the mountain. Outside the range, was the Papaya Toda Tricycle Terminal. Kawa Falls. It was slippery, many plastic and waste scattered around the falls. If not for it’s unique charm, I would have not enjoyed taking a swim. ate @TravelAdik :D Cheers and Happy Trails! San po malapit na beach pagbaba ng nasugbu? After po naming mag traverse hike from DENR jump off point to nasugbu plano namin mag beach. May sakayan po ba don papuntang beach sa nasugbu? Meron Trike dun sir JM. You need to hire them. Ung sa Papaya Toda. yun ung rate per trike. Ito pala para direct. sa Traverse na to ng Pico makikita nyo sa baba..
hello po, meron po kaya bus from nasugbu to tagaytay po? 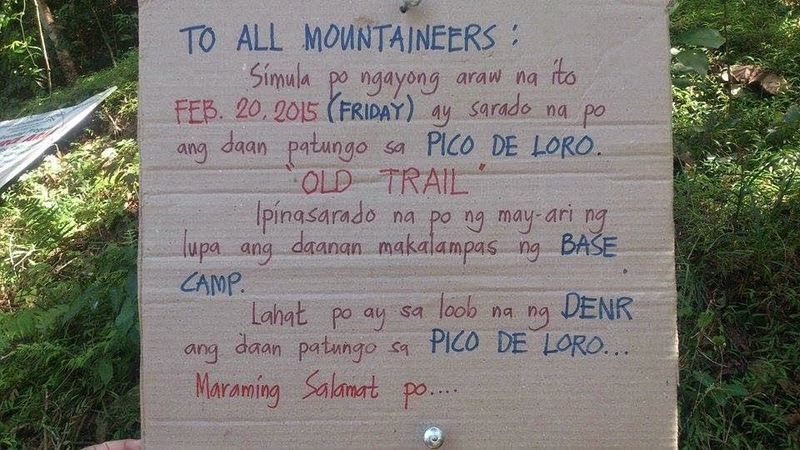 plano po kasi namin after day hike sa pico, kinabukasan sa mt. maculot naman po sa cuenca batangas... thanks po. Kelangan nyo pa magtrike pa balik sa town ng Nasugbu. from there, may mga bus na. Not sure kung meron pa tagaytay. pero ask around. Sorry di ako maalaam masyado sa commute around batangas mismo.